Hi everyone! 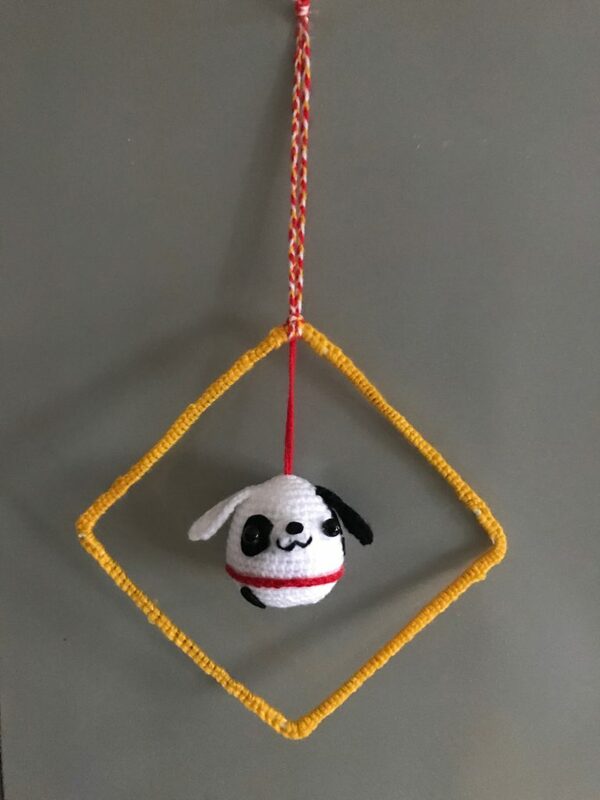 I am so happy to share with you the first hanging decoration I made for my new home. But don’t mistake that I am a dog lover, I am instead a cynophobia. 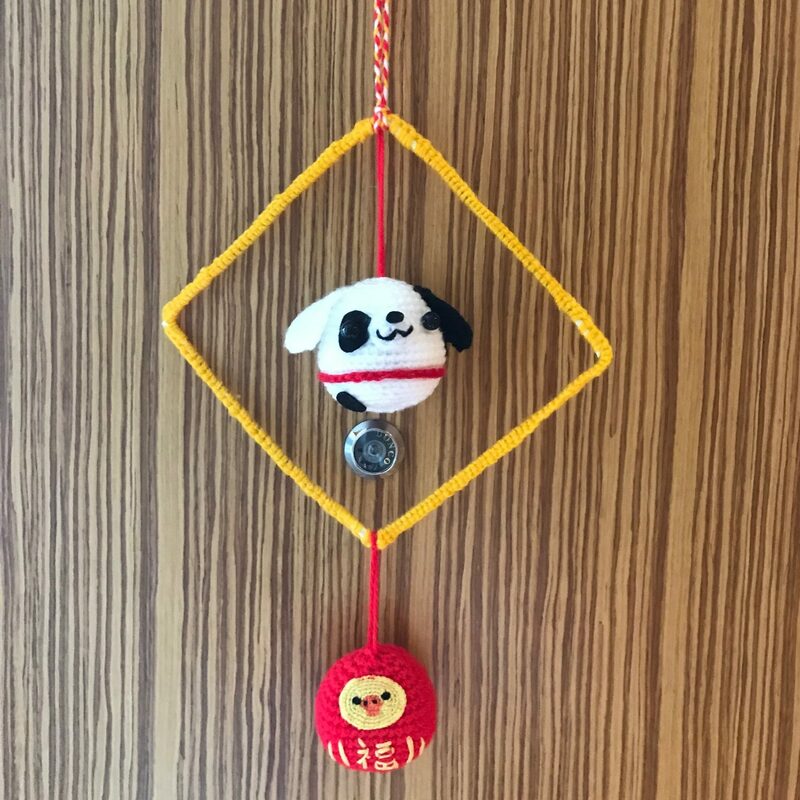 The reason why I am doing is because Dog is the Chinese Zodiac of this year. 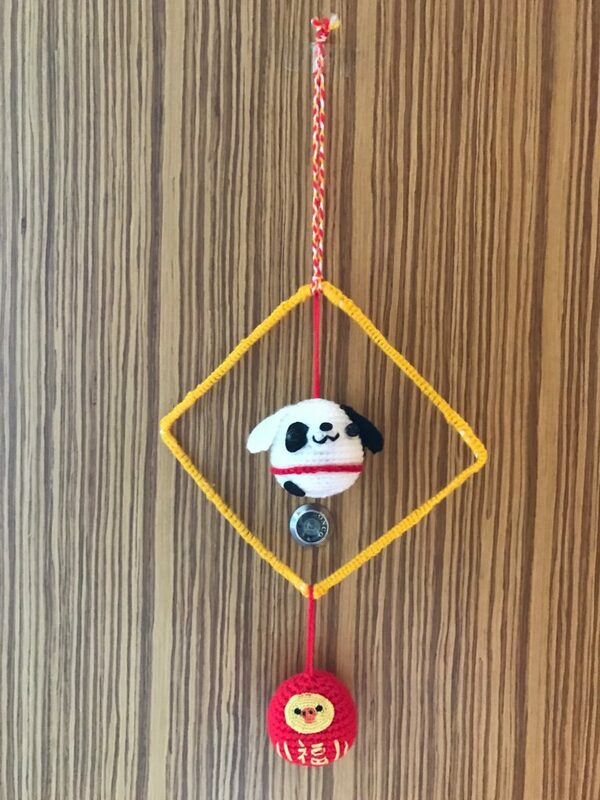 So, this is the ball shape dalmatian dog I made as the main character of the decoration. Then I used a wire and bend it into a quadrilateral. After fixing the shape, I just do single crochet around the wire. Add a string to the quadrilateral and tie the dog to it. Adjust the position well so that the dog will be right at the centre of the quadrilateral. 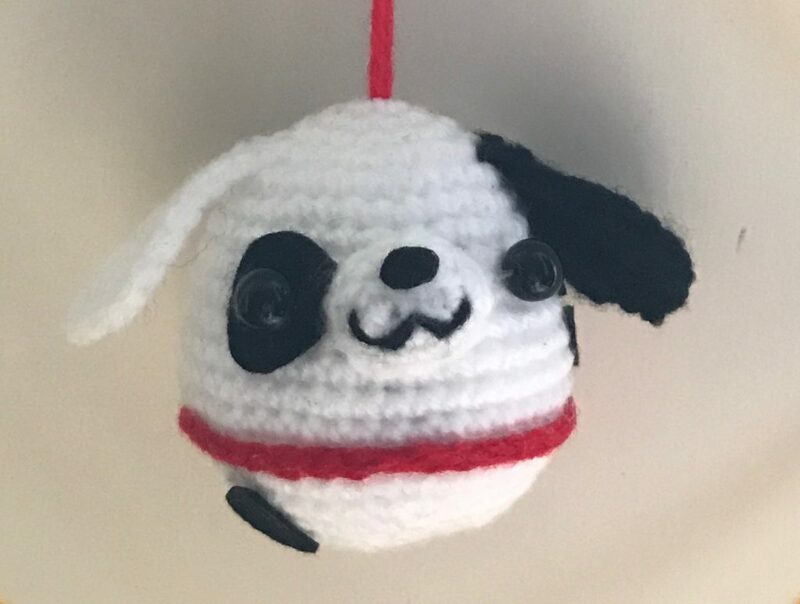 If you can recall, I made a little daruma for last year’s Chinese New Year (Please see: Amigurumi Kiiroitori Daruma 鉤織豬鼻雞達摩). I added it at the bottom of the wire. It’s what we called 送雞迎犬 in Chinese, literally meaning saying goodbye to Rooster and welcome Dog.